Sandpaper serves to scrape or flatten or smooth the surface of the object by rubbing. 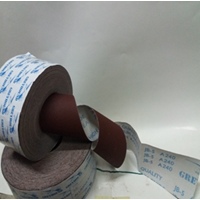 The types of sandpaper according to the shape and the material one of which is the Roll Roll, usually made of cloth and is a versatile sandpaper. Rolls Greyhound sandpaper is usually used to rub various materials including iron, wood, walls, and others. Particles of dregs roll is also not easy to fall so that it can also be wetted with water as well as paper sandpaper to scrub objects made of iron. However, if used to rub the walls and objects made from wood, usually do not need to be wetted. Because it has many uses, rolling abrasives are also known as versatile sandpaper or multipurpose sandpaper. Selling SandpaperUnderstanding the type of sandpaper does not only depend on the material of the maker. Sandpaper is also distinguished based on its use. CV. 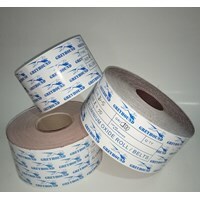 Greyhound Indonesia Sell Sandpaper Roll Paper with Sandpaper Price that is cheap or very affordable. This type can usually be used to rub various kinds of materials including iron, walls, wood and so on. It is not easy to fall off so that if used to rub iron material it can be moistened with water as well as paper sandpaper. Also called Multipurpose SandpaperVarious types of Grit (Roughness) are availableStart Grit 40 - 800 etc.Price of SandpaperCV. 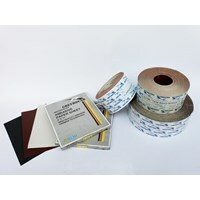 Greyhound Indonesia Sell Roll Sandpaper with Sandpaper Paper Prices that are very accessible from all walks of life. It certainly does not reduce the quality of the products we sell to customers. Trust from customers to deliver quality products at affordable prices is certainly one of our concerns. Anda Mencari "Amplas Roll Greyhound"? Buat Permintaan Untuk "Amplas Roll Greyhound"